Eight months ago, John Nguyen graduated CND Boot Camp at the top of his class taking home the award for “Best Overall” by highlighting his skills in academia, nails, and presentations. 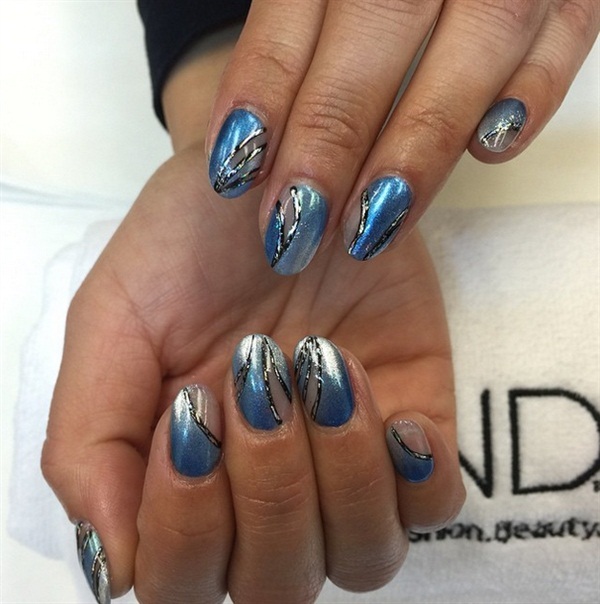 Now, this Canada-based nail tech is a CND Education Ambassador and travels often as part of the brand’s A-team. Nguyen offers this tutorial that seamlessly blends an ombre technique and a peekaboo design. Follow these steps for a negative space fade. 1. 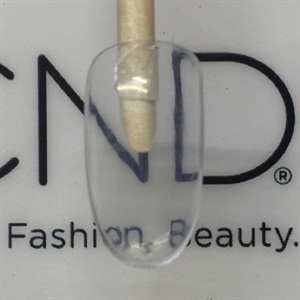 Over a finished enhancement, apply a thin layer of CND Shellac in Clearly Pink and cure in the CND UV lamp for two minutes. 2. 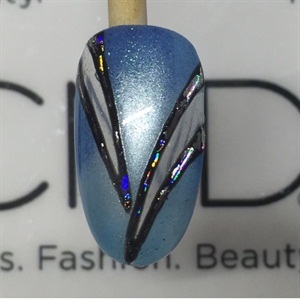 Apply a thin layer of CND Shellac in Azure Wish, do not cure, allow to set for 30 seconds. 3. Use a gel brush to remove sections of Azure Wish to a desired design to create the negative space. Cure in CND UV lamp for 2 minutes. 4. 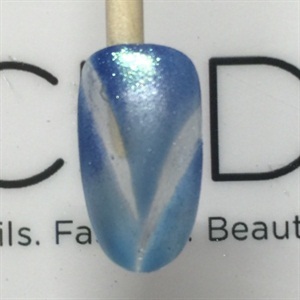 Burnish CND Additives Sapphire Hope and Titanium Pearl into the cured layer of Azure Wish. 5. Using a detail brush, apply CND Shellac in Black Pool to the outer edges of the negative space. Cure in CND UV lamp for two minutes. 6. Use holographic silver transfer foil and apply to cured portion of Black Pool. 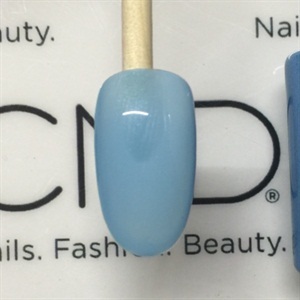 Apply a thin layer of CND Shellac Top Coat and cure in CND UV Lamp for two minutes. Remove top film with 99% IPA and apply CND Solar Oil. For more Mani Monday tutorials, click here. To keep up with Nguyen’s work, make sure to follow him on Instagram: @jcnguyen88.